Anthony Seale, II (1695/1702-1781) and his wife Ann Bristow (c1695/1705-1785/1790) married in 1720, and in the 1720s, Anthony and his father Anthony Seale, I operated a ferry across the Rappahannock River. The elder Anthony apparently died by 1730, and Anthony II and Ann moved into Stafford County,settling in the portion that became Prince William County in 1730. Anthony Seale, II became a justice for the county in 1738 and served in this capacity for many years. He as elected as Sheriff of the county in July 1752 and served for two years. He also served on the vestry of Dettingen Parish between 1745 and 1760, serving as churchwarden between 1748 and 1751. While serving as a justice in the early 1750s, Anthony Seale II heard cases presented by Lawrence Washington, the elder brother of our first president. In 1761, George Mason sued Anthony Seale, II in court for non-payment of a debt. The court found in Seale's favor. Mason later went on to serve in the Virginia Convention, and he helped write the Declaration of Rights. Most historians judge Mason as one of the most influential colonial figures. Anthony and Anne Seale lived on their plantation in Prince William County during the remainder of the 1760s and 1770s, until Anthonys death in 1781 at about eighty years of age. Anne lived a few years longer, but died by about 1787. James Muse, Sr. (1707/1712 1758) was born in Westmoreland County Virginia, the son of Thomas Muse, Sr. Thomas' father John Muse (Mewes) was born in 1633 in England, but had arrived in Virginia by 1668. By about 1732, James Muse married Sophia Pope (1707/1717 after 1792), the daughter Humphrey Pope, Sr. and his first wife Amey Veale. Humphrey Pope left Sophia land in Prince William County Virginia in his 1734 will, and by 1735 James and Sophia resided there. They lived in Dettingen Parish after its creation in 1745. Given Anthony Seales capacity as churchwarden and vestryman of Dettingen Parish in the 1740s, the Seale and Muse families were certainly acquainted. Muse had to pay his tithes to Seale during the latter 1740s; in 1748 he paid tithes for his son James Muse, Jr. and his slave, Belinda. Along with Muses brother-in-law William Cunditt, Anthony Seales son Charles witnessed a legal transaction between James Muse, Sr. and Thomas Arrington on 10 July 1749. It is possible that Charles Seale had by this time married James Muse, Sr.s daughter Lydia. If not, they married within the next few years, certainly by 1752. In the midst of financial problems in the early 1750s, several creditors sued James Muse, Sr. in Prince William County court, including his son-in-law Charles Seale. On 28 November 1752, Muses slaves and quite a bit of his personal property were attached by the courts to pay his debts; the suit was continued repeatedly during the spring of 1753 before finally being dismissed in July. Probably to salvage his property and escape his creditors, James Muse, Sr. left Virginia and moved to North Carolina; he appeared before the Orange County court on 11 September 1753 with his son James Muse, Jr. and son-in-law Charles Seale and gave all of his property to his son James, Jr., apparently an attempt to prevent any Virginia creditors from seizing his property if they tracked him down in North Carolina. In 1753 the Deep River region on which Muse later settled was still a part of Bladen County, whose courthouse was quite a distance away in southern North Carolina. So it is likely that Muse never actually resided in Orange County, but the Orange courthouse there was merely much closer to his residence than the Bladen courthouse. The North Carolina General Assembly carved off the northern portion of Bladen in 1754, placing it into the County of Cumberland, and the Muses thereafter resided in Cumberland. ### Charles Seale is listed with the Muses on the 1755 Cumberland County tax list (Cumberland was created in 1754 from Bladen). ### Charles received a NC land grant of 300 acres on the Deep River near James Muse, Sr.'s plantation in September 1756 (Cumberland County). ### December 1762 - Charles Seale witnesses John Morrison transferring all of his interest in the estate of James Muse, Sr. to Thomas Muse. ### He received another grant of 150 acres there in November 1764. ### Charles sold this 150 acres to his brother-in-law James Muse, Jr. on 19 August 1766. ### Charles Seale witnesses a deed of Archibald McDuffie on 20 August 1766. ### He was listed with his brother-in-law James Muse and brothers William & Thomas Seale on the 1767 Cumberland County tax list. ### February 1769 - Charles' son James Seale was born, and the 1850 census puts his birth in North Carolina. There is no record of Charles Seale selling the property he acquired in Cumberland County in December 1768 (many deeds were never recorded). As he received grants of land in Craven County SC in September 1769, he moved from NC to SC probably by the winter of 1769-1770. Lydia Muse Seale's mother Sophia and the younger Muse children left Cumberland County North Carolina and moved to Craven County South Carolina in the early 1760s. Charles Seale witnessed Sophia's husband John Morrison transferring his interest in James Muse, Sr.'s estate to Thomas Muse in December 1762. It is not clear where this document was transacted (NC or SC). If in SC, then Charles and Lydia may have initially accompanied her parents to South Carolina. However, if this was the case, Charles and Lydia returned to Cumberland County by November 1764 when he received a grant of land in Cumberland (see above). Charles & Lydia's son James Seale was born on 13 February 1769, and the 1850 census (as well as the 1880 census of several of his children) all report that his birth occurred in North Carolina. Thus, it appears that Charles and Lydia remained in Cumberland County NC until at least mid-year 1769, perhaps through the harvest of the 1769 crops. However, soon after this they moved to Craven County South Carolina and settled on vacant land on the Wateree River, adjoining the plantations of John Morrison (Lydia's step-father) and Thomas Muse (Lydia's brother). After the Muses and Charles Seale left Prince William County Virginia, Charles' brother William Seale served many years as deputy sheriff and churchwarden. He married during this period, as did the Charles's youngest sister, Dorothy. In 1765, William Seale, Dorothy Seale Stribling and her husband Francis Stribling, and their brother Thomas Seale, Sr. all left Prince William County and joined their brother Charles in Cumberland County. The four Seale siblings all lived together in northern Cumberland County for only a few years, however. Charles and Lydia Muse Seale left Cumberland County North Carolina in the fall of 1769 and joined her mother and brothers in Craven County South Carolina, where they remained until about 1783. Between 1775 and 1778, Dorothy Seale Stribling and her husband Francis Stribling moved from Cumberland to Wilkes County Georgia. They apparently moved with Cumberland County resident Jacob McClendon, Sr., and these families settled near each other in Georgia (McClendons Creek in Cumberland County on which the Muses and Seales lived was named for his family). Back in Prince William County Virginia, old Anthony Seale, II died in 1781, and Anthony Seale, III decided to follow his siblings and move south. He was undoubtedly lured by the cheap land available in Georgia as the state attempted to entice settlement. Between 1782 and 1784, Anthony Seale, III joined his sister Dorothy in Wilkes County Georgia; he purchased vacant land adjoining the Striblings farm on Fishing Creek (now the border of Wilkes and Lincoln Counties). Also during this period, Thomas Seale, Sr. left Cumberland County and joined his siblings in Wilkes County Georgia, as did Charles Seale. 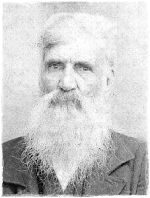 William Seale Muse also joined his relatives in Wilkes County Georgia during this period; he was the result of the union (affair) between William Seale, Sr. and Sophia Pope Muse Runnels. Most all of these people remained in Georgia, and their descendants later migrated westward into Alabama, Mississippi, Louisiana, and Texas. Both Charles Seale and his son Enoch received land grants in Wilkes County in August 1785, but the next month, September 1785, they sold their land and returned to Fairfield (formerly Craven) County South Carolina. Charles and his son Enoch Seale received their grants of 200 acres each, both on Rocky Comfort Creek, from the State of Georgia on 10 August 1785. Thomas Seale also received of 400 acres on Rocky Comfort Creek at this same time. It is not entirely clear if this Thomas is Charles' son (it could be Charles' brother). The wife of this Thomas was Elizabeth, and she signed the deed in which he sold this land on 17 November 1785. Charles Seale sold his Wilkes County land first - to Abram Heeth of SC on 15 September 1785. Charles received 55 pounds for his 200 acres. The deed states that he was a resident of Wilkes County GA. Interestingly, his wife Lydia did not sign the deed. Charles' son Enoch sold his 200 acres to Andrew King for 50 pounds on 15 October 1785. Thomas & wife Elizabeth Seale sold their land also to Andrew King for 150 pounds on 17 Nov 1785. All these deeds were recorded in Wilkes County GA Deed Book AA, pp. 30,32,33. The 1785 Wilkes County GA tax list shows Charles, Enoch, and Jarvis Seale living near each other in Wilkes County Georgia. They lived in the portion of Wilkes that became Warren County in 1793. Living near them was the large Peavy or Peevy family. This is where Charles' daughter Lydia met and married Abraham Peevy. In trying to help Lydia secure a widow's Revolutionary War pension in 1845, Charles' son James Seale stated that he was present at the marriage of his sister Lydia Seale and Abraham Peevy in September 1784, and that he "boarded with them" for a while. The 1786 Wilkes County GA tax list does not show Charles or Enoch, indicating that they no longer resided in the county. This shows that Charles Seale left Georgia and returned to South Carolina after he sold his land in Wilkes County. Charles Seale returned to the Wateree River region near his brother-in-law Thomas Muse and mother-in-law Sophia Pope Muse Morrison. This region had been designated as Craven County in the late 1760s and early 1770s, but during the Revolution, the geographical designations changes from counties to districts. In 1785, SC redrew their district lines, so what was formerly Craven County now became Fairfield District South Carolina. It remained as such until 1868, when the districts were replaced with counties. Charles Seale bought another farm in Fairfield District in 1787, and he lived there until his death. The 1790 census and 1792 tax list of Fairfield District show his sons all living with or near him there. Many of them acquired their own farms in Fairfield in the 1790s. (Fairfield Co SC Deed Book M, pp. 162 163). Although this deed was only dated with the year 1798, the signature of Charles' daughter Nancy Seale Dickinson was dated 22 October 1798. If correct, this would place Charles Seale's death between September 11th and October 22nd, 1798. Obviously, this would appear to have been the markers for Charles and Lydia Seale. Mr. Muse returned in the 1980s to photograph the stones. However, during this interval, the area had been clear cut and most of the stones destroyed. If correct, this indicates that Lydia Muse Seale died in 1799. It "fits", in that she does not appear as an older female in the households of any of her children in 1800.